WhiteConcierge, the leading global B2B concierge and lifestyle management company, has been chosen as the provider for Jeppesen Concierge. WhiteConcierge, the leading global B2B concierge and lifestyle management company, has been chosen as the provider for Jeppesen Concierge Ã¢ÂÂ a new offering that gives pilots and their passengers access to the highest levels of concierge service for everything from personal emergencies to reservations to a virtual private assistant. Jeppesen Concierge will be offered as part of the Jeppesen International Trip Planning Service and is available to all Jeppesen customers. Jeppesen provides a wide range of services to business aircraft operators, including international trip planning, fuel, navigation solutions, weather services, fuel-optimized flight planning and more. The new partnership with WhiteConcierge will enable aircrew and passengers alike to access a range of services never before offered on such a global scale to aircraft operators. Specific services include replacing a lost passport, emergency cash when a wallet or bag is stolen or misplaced, car services, legal and medical referrals, restaurant bookings and more. “WhiteConcierge has demonstrated that it is able to offer a comprehensive concierge offering across a number of sectors. We’re confident that partnering with WhiteConcierge will be of enormous benefit to the pilots that use our International Trip Planning Service,” said Paul Hemsley, product manager, Jeppesen International Trip Planning Services. To sign up for the service, visit www.jeppesen.com/itp or contact Jeppesen International Trip Planning Services; Europe; +44 1293 842403, Middle East and Africa; +971 4 213 4832 or Americas; +1 408 963 2000. 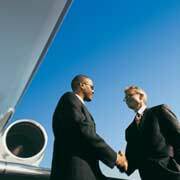 WhiteConcierge is Europe's leading B2B concierge and lifestyle management service. For over a decade, it has helped many of the world’s leading companies connect with their most valued assets – their customers and employees. From its Global Resource Centre in Cambridgeshire, the company serves nearly a million customers in 25 languages. WhiteConcierge is widely regarded as the market leader in providing innovative value-added services in the financial services, telecoms, travel, employee benefits and the luxury goods sector.